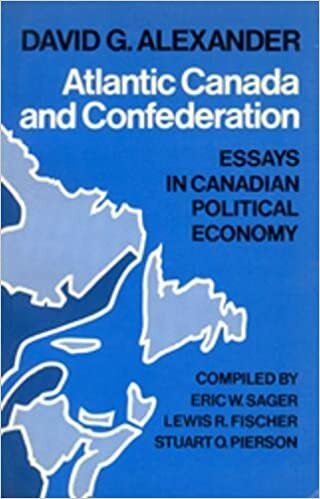 Atlantic Canada and confederation : essays in Canadian political economy /​ David G. Alexander ; compiled by Eric W. Sager, Lewis R. Fischer, and Stuart O. Pierson. Author. Alexander, David, 1939-1980. Other Authors. Fischer, Lewis R. Sager, Eric W., 1946-; Pierson, Stuart O. Memorial University of Newfoundland. ALEXANDER, David G. Atlantic Canada and Confederation : Essays in Canadian Political Economy. Compiled by Eric W. Sager, Lewis R. Fischer, and Stuart O. Pierson. Tor. : Published in association with Memorial University of Newfoundland by University of Toronto Press, 1983. Pp (5),v-xviii,(2),-157,(1) with port.frontis.